Bunka Fukusou Gakuin (文化服装学院, Bunka Fashion College) is without doubt the most respected fashion design school in Japan. Name a well-known Japanese designer and the chance is pretty big that this school’s name is on the resume. 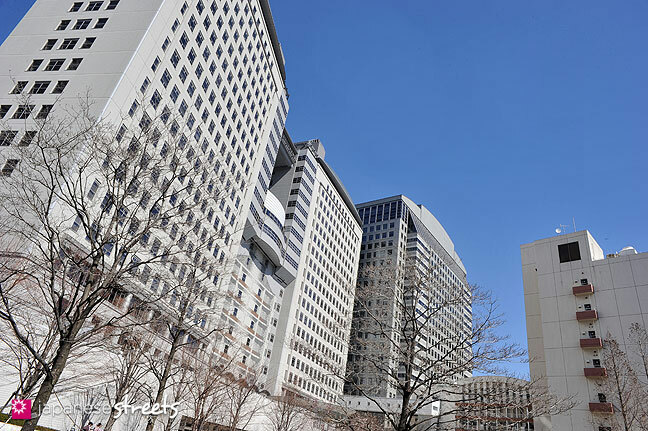 Based in Shinjuku, Tokyo, it is known for a strict curriculum and a relentless workload. The college was founded as Namiki Dressmaking School in 1919 by Isaburo Namiki at a time when western-style clothes for women were ultra modern and expensive. In 1923, it became the first authorized vocational college of fashion. It contributed to popularizing western style garments in Japan through education and publication of books on dressmaking and fashion. The school’s name was changed to Bunka Fashion College in 1936 when it also started publishing the now prestigious fashion magazine So-en, actually Japan’s first fashion magazine. After WWII, Bunka shifted from tailoring to educating its students as commercial-oriented fashion professionals. Starting in the 1960s, many Bunka graduates entered the Paris Collections. Among the first to make their mark internationally were Kenzo Takada and Yohji Yamamoto. They paved the way for such promising new talents as Atsuro Tayama and Keita Maruyama. In 2000,the Bunka Body Structure and Function Lab in collaboration with the Digital Human Body Lab, a national institute of advanced industrial science and technology, created a new female body-form that reflects precisely the body shape and proportions of today’s Japanese women. The body-form was hailed by fashion industries and schools. The Lab is presently developing a new male body-form. Bunka established Japan’s first graduate school of fashion business and design in 2003. It has over 70 branches all over Japan and has exchange programs with Central Saint Martins in London and Parsons in New York. No.57, Sec.1, Chongcing S. Rd. want to know what language teaching in the class? Hi Viyada, Bunka uses Japanese. Contact the school directly for questions about their program or scholarships! hie..i want to know, so if we need to know japnese language to apply for the course?? Just like you need English to study at schools and universities in the US, UK, Australia, etc., you need Japanese to study at schools in Japan. Japanese schools teach using the Japanese language. Would we have to pass in any professional test before we can become a fashion or jewelry designer in Japan? I may need more detailed informations about the courses of fashion and jewelry design in Japan, like qualifications and method of application, fee of the courses, the time of beginning and time needed to complete the courses. Would all the courses be full time only? Could you please post the response on this web page? Thank you. Nana: For more detailed information, please contact the school directly. Giul: Japan is a country with 127 million inhabitants, which means that schools can find more than enough students in Japan to survive. As birthrates are falling, this may change and some schools may have to resort to teaching in other languages like some schools in Europe were forced to do in other to be able to compete. I want to ask how if I totally dont know Japanese and plan to take Japanese language course if it is needed while at the same time I also want to take fashion courses directly. Will I be accepted at Bunka? I believe that Bunka has their own Japanese language school. Contact the school directly for information. O que preciso para obter uma bolsa de estudo? I’m a nikkei jin and right now I’m processing my japanese citizenship but I was born and raised in Philippines. we only have 10years of education then we proceed to college. In short I graduated Highschool in the philippines, I have my diploma with me, a proof that I can go to college/university already. will this school accept me with my case? I love arts and fashion also I’m progressing my japanese, attending free cramschools here in japan. but I only want to know if this school will accept me despite of my 10years of education. I advice you to contact the school directly as only they can make this decision. hii, How are you and your family,my message is to ask if I can be admit in your school to study fashion. I would like to know if it possible to purchase the Bunka female body-forms? Do you know an e-mail o a fax to contact with them? And a question Bunka is a university or an institute or a vocational school? Could you explain me that please? In 1976, Bunka Fashion College was classified as a post-secondary polytechnic college, or Senmon-Gakkou,in accordance with Japan’s new educational law. In 2003, Bunka’s longstanding plans to establish Japan’s first graduate school of fashion business and design was finalized. The above mentioned phone number (+81332992057) is the phone number of the international section, so English should be OK. However, you must have a command of Japanese to be accepted at the school. @Amy: Contact Bunka directly through the above phone numbers. what about mext scholarship for fashion department? why is it they are not giving e-mail address, but phone number? it would be more easier to communicate by mail, for some basic information. This College leads students from Scholarship Mombukagakushou EXchange Training? Hey reading from some of your replys. Do you mean that you have to be part japanese to attend the school? or you must have to know some japanese to attend the school? Please let me know. @Nee Nee: Bunka has students from all over the world, so you don’t need to be Japanese. But you must be able to read, write, speak and understand Japanese. when is the school/course start? and how can we get information about the housing for international students? @Glinka: There is some info about housing on their site (in English). Look for Dormitory. @Danny: I don’t know Bunka Yoshi. I think it is best if you direct your questions directly to the International Admissions Office of Bunka at +81-3-3299-2057. I’m Miu from Thailand. I’m now studying Japanese language in my country to be ready for studying in Bunka Institute of Language which is the institute under control of Bunka Fakushou Gakuin. I will go to Japan this april and get started around 15th or something. I’m so excited! I just graduated from university last year in field of communication and advertising. but i actually interested in clothing design and also costume design. so i decided to get into this college. This all is my short info. I really want to share more info. with you guys who interested in this college. If you have any information, pls e-mail me at miuruko@hotmail.com . I’ll be really please to talk to you guys! Thanks to Kjeld Duits, your information enhanced my knowledge about this college! Thanks so much! PS. In Thailand, there’s also a branch from Bunka Japan. But not a lot students attending the course. Maybe because of low PR communication. Anyway, people can contact directly to Bunka through the branch. What a luck! I just recive my acceptance letter from Bunka fashion college, I will start next april, I’m so excited about this chance, I have　come all the way from Bolivia just to get into this college, it worth it!! so I just wanted to know what kind of chance do I have once I graduate from bunka with a bags designer diploma, I mean how is it gonna be on the field?? Congratulations! I am really happy for you. A diploma is just a piece of paper. It is up to you what you put into it and what you do with it once you have it. Steal your teachers brains at Bunka, learn all you can and create a good network with people in the fashion industry, so you have good connections once you start looking for a job, or set up your own company. I wish you much success! Hi Ayame, many foreign students study at Bunka. You will need to understand Japanese. I don’t know if they offer scholarships—please ask them directly. okay… thanks a lot 4 ur info kjeld san.. hope they offer scholarships..
@ayame: Sorry I couldn’t help you wit that. I will try to get more info in the future. hi..I’am Indriyani…originally from Indonesia, but currently, I’m Living in Dubai, UAE. I visiteD Japan last month for education trip from with Esmod Dubai. My question is.. is Bunka fukusou gakuin provide some scholarship for short course. eq; 1 month or 3 months onward. I really interested to get it. Specially in fashion designing. Oh ya, back to 13 years ago, I graduated from gaikoku go daigaku, Nohon go gakka desu. thank you so much in advance. looking forward for the info. @ayame & indriyani: Hey, if any of you guys ever got in touch with Bunka, please let me know. I’m from Indonesia too..
@ Mr. Kjeld Duits: I wonder why bunka doesn’t have any email, it’s easier for me to contact them through email….Does Bunka offer bachelor degree for all courses? @Michelle Sugiarto: This is a problem with many Japanese companies and organizations; even if you send e-mail it is often not answered. Although it is slowly improving, calling is still the best. If you haven’t done so already, download Skype, get an account and call them that way. It costs extremely little to call to landlines and the program itself is 100% free. i should try it, thank you for the info! @anggyc: For scholarships, you really have to contact the school directly. Sir where I find tuition fees and time schedule of fashion design?do you have also hair designer? I NEED A HELP IF THERES SOMEONE KNOWS AOUT THE BUNKA FASHION SCHOOL AND DESIGN IN JAKARTA GAJAH MADA ,INDONESIA .COS I WAS GRADUATED FROM THAT SCHOOL AND THANK YOU A BUNCH. This is William Buckley, online director at Antenna Magazine, I hope you are well. I am currently in the process of expanding the range of our correspondents on a global level. I was wondering if anyone knows any job boards of some kind where I might post an opportunity for students in Asia to contribute to the online property of Antenna Magazine in the role of International Correspondent. Antenna is a mainstream magazine for people on a constant quest for the newest and coolest products on the horizon. A guidebook, allowing readers to navigate the most extensive collection of products ever compiled in a single publication, while championing the people who create, sell and collect them-all in one comprehensive, artful, elegant and innovative format. Featuring everything from tees and sneakers to dress shirts and tuxedos, travel and cars, and the cutting edge of contemporary culture, Antenna Magazine is considered a non-disposable magazine in a disposable world, a primary source for information on the products that will define tomorrow. Please let me know and I will send over the details of the internship. I’m past graduate from Bunka fashion college and did 2 years programme from 1980-1982. Not sure if my 2 years programme is considered at Junior college level or is it equivalent to diploma programme. HI THERE……IS THERE ANYWAY IF I CAN BUY THE BUNKA BOOK FOR DESIGN CLOTHING AND THANKS. ´What is the tuition fees? I cant find it anywhere??? @nasera: It is in Japanese. Please be aware that there are no scholarships for students from abroad. Request the Bunka Prospectus and call for additional info at +81332992057. General info can be found at the Entrance Guide. hello ! Good Day i just want to ask if how much is their Tuition fees ?. coz i really wanna know and im interested ! thank you. @LinFF: Please see the link in my comment of Mar 13.
oh thanks , but i’ve been reading this “ENTRANCE GUIDE” earlier but i didn’t see any , its says there “see the table of tuition and other costs” but there’s no table for their tuition fees. i only saw the application fee. @LinFF: Click on the link saying in Japanese. please help me with the admission with your firm. hi, m Gurung Sanjok from Nepal n now a student of Japanese language, my dream is 2 b a fashion designer or photographer. Hi, I’m Anne from Singapore, I have worked as a Fashion Instructor, teaching dressmaking & illustration in Malaysia. I will be moving to Tokyo with my family. Can I apply to teach at Bunka Fashion College. or what is the procedure to apply for a job in the college. Thanking you in advance for your attention and reply. @Anne: Hi, Anne. I highly recommend writing Bunka Fashion College at 3-22-1 Yoyogi, Shibuya-ku, Tokyo 151-8522 or calling them at (+81) 3-3299-2057. I wish you much success! Thank you Kjeld, for replying. hello my name is gayuh from Indonesia…I interest on Bunka Fashion College. i want to know more about scholarship, is it available for foreign students? @gayuh wahyu utami: Last time I checked there were no scholarships for students from abroad. Request the Bunka Prospectus and call for additional info at +81332992057. General info can be found at the Entrance Guide. Good luck! Excuse me I’m calling about your college, does it have scholarships? This is my email address, cecipink97@yahoo.com. I would like to know more about your college please. Thank you. @Cecilia Islas: See my response to the same question two comments above yours. Hello! Thank you, Kjeld for writing this! There are scholarships available from both the government and the school, and we have a Graduate Course taught in English! people who are interested in studying at Bunka but only speak English should email nyushi@bunka.ac.jp and address the e-mail to Katsuhata-san! :D Good luck! Hi, I wanted to know if the Bunka Gakuen University teaches in English or Japanese? I don’t know if I’m mistaken but I read somewhere that it is in English. @Ness: Bunka does have a Graduate Course taught in English, but the other courses are taught in Japanese. I believe they have a Japanese language course for foreign students, though. I highly recommend that you contact Bunka directly. Their Twitter and Facebook pages are introduced on the Bunka Homepage, and their phone number is +81-3-3299-2222. If you only speak English, email nyushi@bunka.ac.jp and speak with Katsuhata-san.